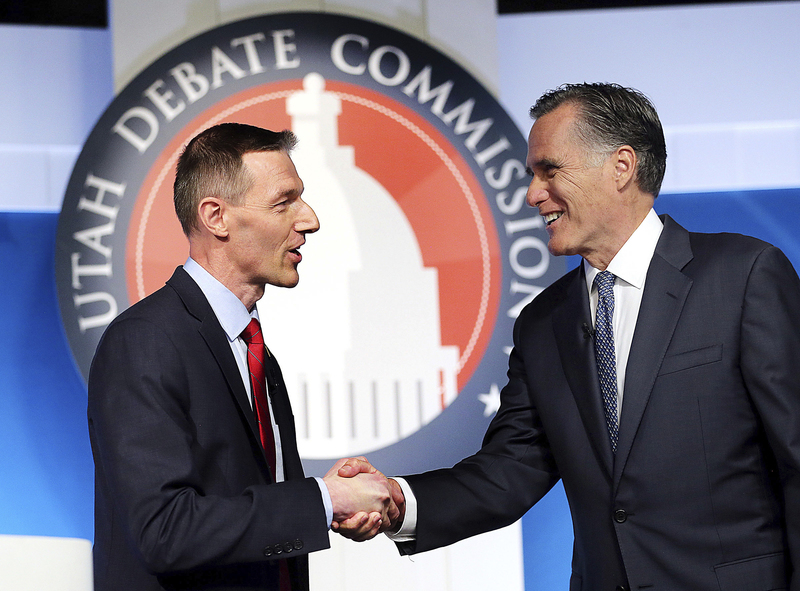 SALT LAKE CITY (AP) — U.S. Senate candidate Mitt Romney defended himself at a debate Tuesday from attacks on his status as recent Utah transplant who has previously criticized President Donald Trump. Romney parried the criticism from his opponent, state Rep. Mike Kennedy, and praised the president’s handling of several issues including China on trade. “If I disagree with the president, I will do so in respectful fashion,” Kennedy said. Romney defended his statement, saying a Dallas pastor who called Mormonism and Islam “heresy from the pit of Hell” was the wrong choice to give the opening prayer at opening of the U.S. Embassy in Jerusalem. 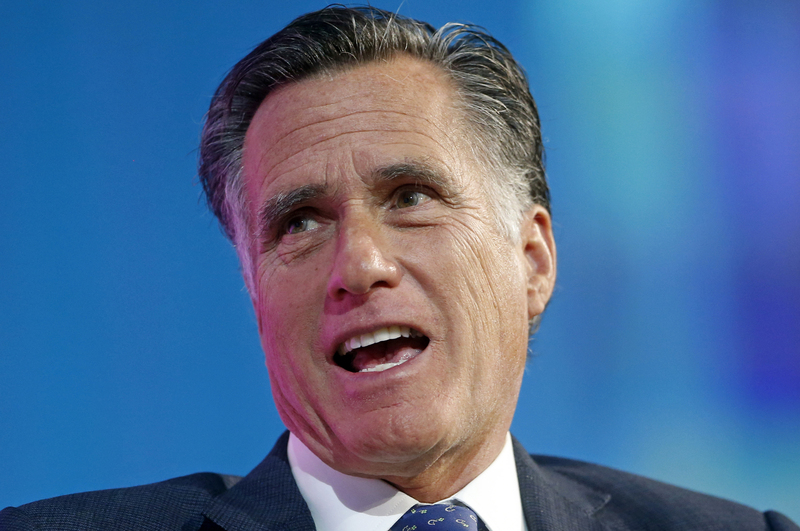 “When people express bigotry they ought to be called out for it,” Romney said. Romney is favored to win in Utah, where Trump’s brash style doesn’t always go over well. But Kennedy, a conservative doctor and lawyer, made it a contest when he won the favor of hard-right-leaning state GOP stalwarts. Both men largely praised the president’s handling of issues such as North Korea and immigration and expressed dismay about the deficit. The national debt has been Kennedy’s marquee issue, and he said he’d vote against any omnibus spending bills. Romney agreed, and said he’d bring together a group of senators he knows ahead of time to say they won’t vote on such spending bills. The plan is in line with Romney’s pitch that his high political profile would bring Utah more clout in Washington than the average freshman senator. During Tuesday’s debate, which was the last scheduled before the June 26 primary, the two candidates differed on banning bump stocks, which allow semi-automatic rifles to mimic fully automatic ones. Romney said he supports a ban while Kennedy says such measures don’t work and said he wants to focus preventing shootings through things such as mental health treatment. The two are vying to win the Republican primary in the race to replace Sen. Orrin Hatch, who is retiring after 40 years. Kennedy says he’s a homegrown, conservative alternative to Romney, whom he painted as an outsider whose positions have flip-flopped over the years. Romney moved to the state after his failed 2012 presidential run. While Kennedy is an attractive candidate for anti-Romney Trump supporters, he’ll have to gain support from a wider slice of the electorate to make his mark in Utah, where the president’s brash style doesn’t always go over well. Romney is a beloved adopted son in Utah, where he’s known for his role in turning around the 2002 Winter Olympics and becoming the first Mormon presidential nominee of a major political party. The former governor of Massachusetts moved to Utah after his 2012 presidential loss, and made a speech there calling Trump “phony” and a “fraud” during the 2016 campaign. The two have largely buried the hatchet, though some tensions remain. The winner of the Republican primary will face Democrat Jenny Wilson. But GOP candidates have a big upper hand in conservative Utah. Kennedy has served as a representative in Utah’s Legislature since 2013. 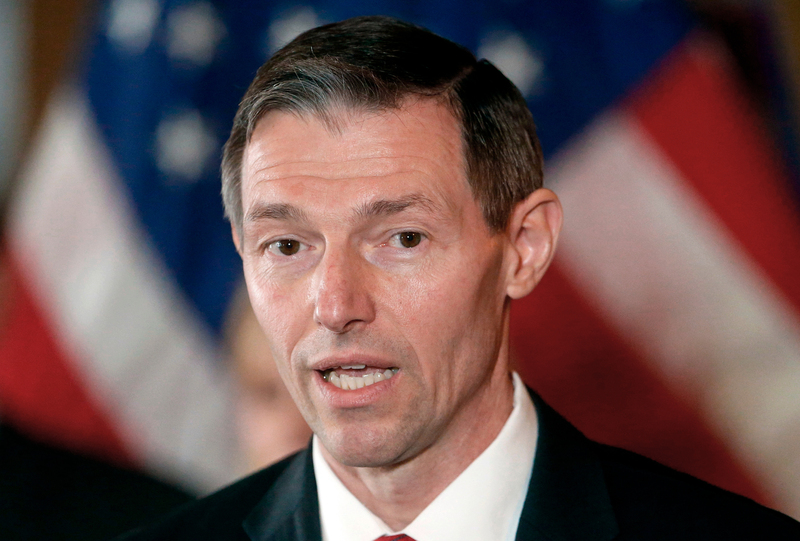 He got attention this year for heading up a commission to improve school safety in the wake of the school shooting in Parkland, Florida. The debate can be viewed both with TV repeats and streaming. You owe it to yourself to watch and judge for yourself. Those ‘attacks’ towards Romney were simply pointing out factual, documented truths. Mitt Romney is a fairly smooth talking politician who appears to desperately desire the power that comes with being in the US Senate. Why would the republican voters of Utah want someone who believes his previous relationships with 40 current Senators is a plus, when the great majority believe the swamp must be drained? Hopefully you’ll find out more about a family doctor who raised his children here in Utah, served in the Utah legislature, supports the President and the US Constitution plus added a law degree to his resume not to mention is as genuine as they come. Hopefully enough voters will show up for this Primary and vote for Kennedy knowing that Romney is just NOT what Utah citizens need right now. Or ever. The problem with both candidates is that they do not represent Utah’s rapidly changing demographics. Utah is becoming more “other then mormon” every day and it would be best served by a candidate that is not a mouthpiece for the mormon church. I’m not LDS nor have I ever been but feel Kennedy represents me any my family very well. Most the people I know who have moved here are also well represented as they are right leaning conservatives who left California’s leftist utopia. And, ironically, the population growth from them coming here is making this place a lot more like “California’s leftist utopia” each and every day, regardless of how conservative they are. Everyday, more traffic, more crime, air quality going down, illegal mexicans moving in in droves. They are turning the place into what they were trying to escape just by coming here. Sadly I feel your right in a lot of ways, not something I’m happy about. The end result is quite obvious–Romney wins the primary easily. Romney will likely win because he has the backing of the Washington establishment, the swamp. That should tell you all you need to know. Not a good choice for Utah or our country.